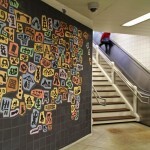 What is Art in Transit? 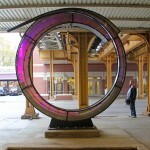 As the name would suggest it refers to Public Art along the Chicago Transit Authority [CTA] stations. 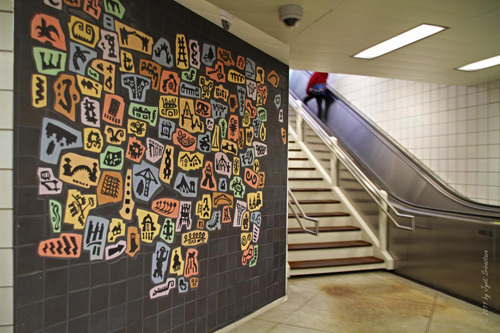 It started in the year 2004, when the CTA in conjuncture with the City of Chicago Public Arts Program, installed nine permanent works of art on eight renovated train stations on Pink Line. 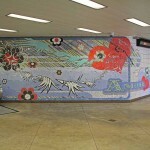 Since then the CTA has been creating ongoing programs to install permanent works of art on CTA stations. 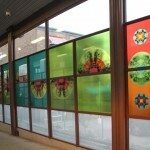 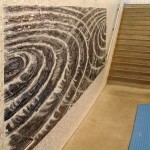 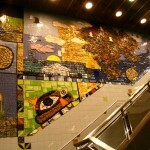 Like on Brown Line, original artworks were installed in each of the 18 renovated stations . 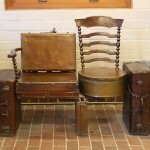 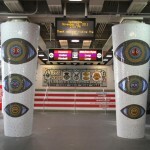 Art-in-Transit as such provide artworks at the gateway of the communities. 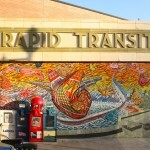 The Program is funded by the Federal Transit Administration. 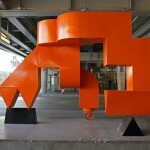 It includes work by local and national artists or team of artists who create creating permanent public art works. 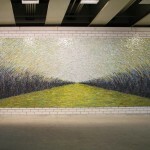 The medium includes mosaics, art glass, ornamental fencing, mixed-media artwork, and freestanding sculpture and furniture. 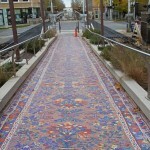 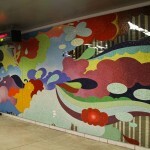 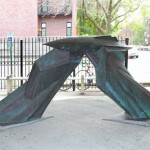 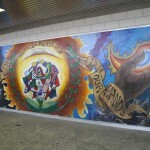 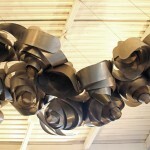 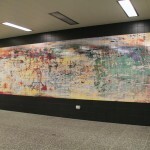 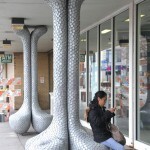 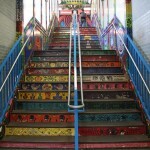 The Official CTA website, “Public Art on CTA”.. click here..